General Chiang Kai Shek: An Account Of The Fortnight In Sian. Garden City: Doubleday, Doran and Company, 1937. First edition. Octavo, original cloth. Signed on the half-title page in Chinese by Chiang Kai-shek and in English by Mei-ling Soong Chiang, former First Lady of the Republic of China, 1948-1975. Fine in a near fine price-clipped dust jacket with light rubbing. 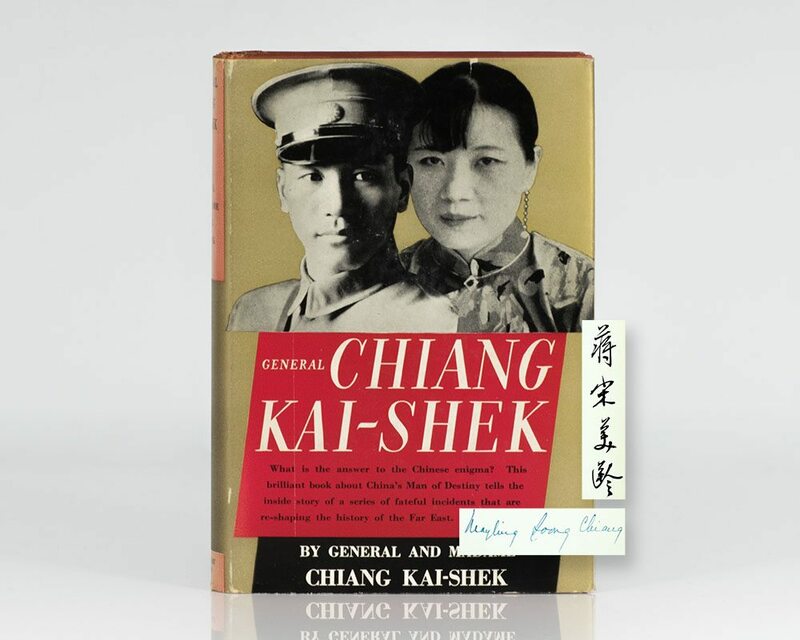 Exceptionally rare signed by both Chiang and Madame Kai-shek.